FINALLLY, after five days we have a decent WiFi signal....ah...this must be the getting used to it part of living on the road! We stayed in Blanding yesterday and enjoyed an unplanned day of leisure. We drove up to Monticello to visit the ABC store and replenish our bar, and then we stopped at the grocery in town for some veggies and supplies. Back at camp we lounged, surfed the web, caught up on email and correspondence, and played a few games of Scrabble. We have now established a daily routine of at least one, more often two games before dinner. We headed out Thursday morning and pointed our RV toward Colorado. 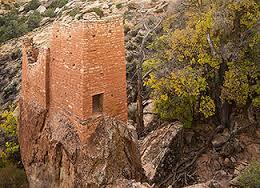 The drive was an easy two hours through Navaho and then Ute reservations reaching Cortez at noon. 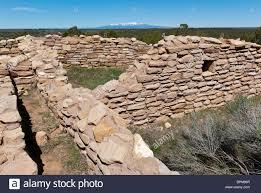 The information center once again proved to be a great stop and we were able to purchase tickets for the Mesa Verde pueblo site tours as well as get some great ideas for how to spend the next few days. After lunch we headed to Durango, CO to find an RV site for the night. We settled in at a KOA campground a few miles southeast of town. Full hookups and cable TV helped to make the decision to stay four nights. The gal at the information center planned today out for us with a drive back to Cortez and then up to Douglas and the Crayons of the Ancients National Monument. 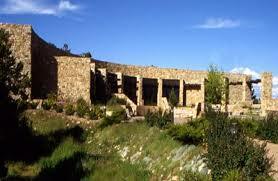 The visitor center was awesome with a great movie. And here’s some advice. Whenever there is a film showing at a visitor center, take the time to see it. We have learned over the years that no matter where we go and what country we may be in, if there is a movie playing, it’s a good idea to take it in. From these films you are able to get an overview of the site and surrounding area, get further help and ideas on how to plan your day, and there’s the opportunity to add in things that you may not have known about. After the movie we always take our map back to the information desk and get their help on how to include these new found secrets. After visiting the museum at the center we included three additional planned stops we would have otherwise overlooked. 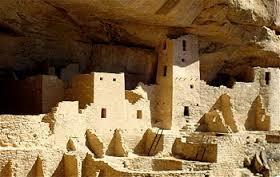 The first was a huge pueblo that had been reconstructed. It was a small site but worth the time and narrow gravel road to get there. We spent quite a bit of time wandering the artifact field reading all of the informative placards and going inside a lot of the structures. 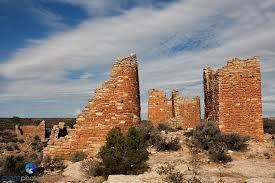 From there we headed to Hovenweep National Monument. 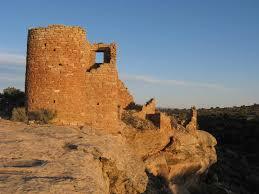 Hovenweep contains several pueblo towers and houses build around the rim of a small canyon. The two mile rim trail allowed up to get up and close to them and that was a special treat. 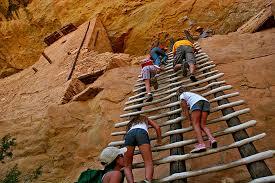 From there we crossed back into Utah and then back into Colorado as we headed back to Cortez. 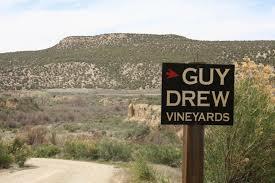 Along the way we saw a winery sign so out of place in the desert that we had to make a stop. The semi-retired couple bought the place 20 years ago, planted the vines, built the house and winery, and welcome guests between 12 and 5 to their kitchen to sample their wines. 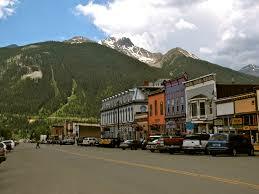 The market to the local southwestern Colorado market and from the looks of things are doing quite well. We chatted for quite some time, Bobbie sampled their blends, and we purchased a couple of bottles. 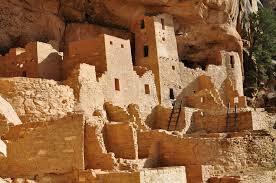 The gem of the national park system, Mesa Verde is home to over 600 pueblo cliff dwellings. As such it is heavily visited and that’s why we needed to get tour tickets ahead of time. 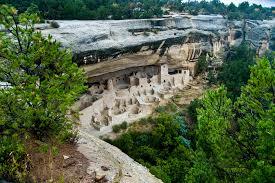 Only one pueblo can be viewed without a ranger. We left camp very early for the two hour drive to the park and then to the visitor center and museum for some orientation. At 10AM we joined the group for a two hour tour of Balcony House. 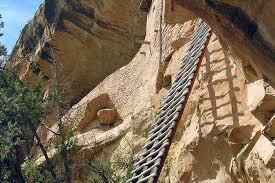 The trail to the site was steps and ladders, one ladder over 30 feet high. 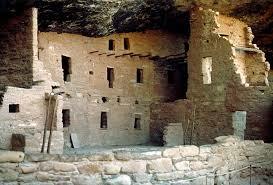 Our ranger guide was well informed and the site was awesome with the stone masonry and architecture. 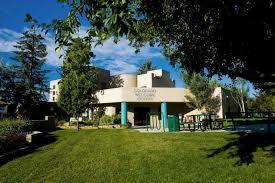 We stopped at the park café for a coffee before heading over to the other side of the park for our next tour, this time of Long House…126 rooms and 21 kivas. 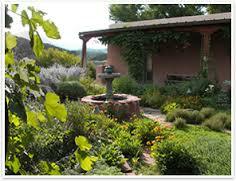 We were early so we enjoyed our picnic lunch and then self-toured Step House on our own. At 2PM we met our guide Spencer, who we discovered really enjoys an audience. 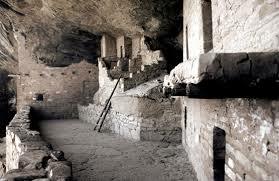 He was an archeologist as well as a park ranger and knew a lot about the site. The 1 ½ hour tour ended up being well over two hours with a two mile hike to the access point to the site. We spent a great deal of time at the site itself and took a lot of photos. Probably our “most photos” day so far. It stormed, heavy rain and wind, all night and in the morning there were no signs of it lessening so our planned day exploring Durango turned into a project and rest day instead. We visited the Walmart and Home Depot for materials to build a charging station in the RV for our electronics, we stopped at an RV store for replacement parts for a faucet and the toilet overhead fan, and we took in a movie at the local theater. 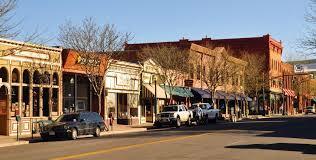 Today we explored downtown Durango, mostly Main Street. We visited and toured the railroad museum, and shopped a bit. It was a bright sunny day and the streets for very quiet for a Monday morning. The local ACE hardware store caught our eye as did an artist supply shop. Time to stock up on some art supplies. We had lunch at the Irish Pub and then took in a matinee at the theater. Back at camp we cleaned out the refrigerator with a leftover night dinner. This happens to be one of our favorite weekly meals and we always look forward to mixing up the flavor palate with all the different tastes we’ve had all week long. It’s also a great way to be efficient with our grocery budget.